The information which you calculate from this Calculator is intended for use by you as a guide only, it does not constitute an offer and has no legal effect on any contracts entered into by you ‘ the client’. This simulation and the resulting calculations do not constitute a loan application or offer. The figures and formulae used within this calculator may change at any time without notice. Any loan request is subject to assessment against normal lending criteria. 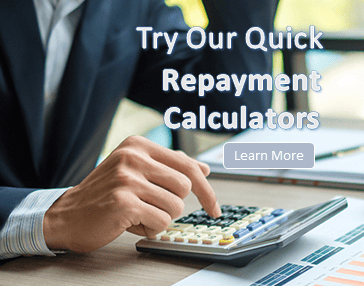 Repayments calculated in this simulation include an example lenders establishment fee of $523.00 which may vary. This is intended as a guide only. Quotes can vary depending on several factors including an applicant's overall credit profile and whether the purchase is personal or for a business - contact us to obtain a detailed quote based on your individual requirements. Should you apply for any Credit One product, we will make our own calculations and we will not necessarily take your calculations into account. All Interest rates displayed ‘are guides ONLY’, repayments as a result of this simulation have no legal offering. At Credit One we aim to be New Zealand's leading asset finance brokers and strive for 100% customer satisfaction. Don't just take our word for it though - have a look at what our clients say about us.